Exercise is an important part of life at any age for maintaining better health. But for seniors in particular it can be beneficial for warding off illness and injury, promoting better mental health, enhancing balance and flexibility, and supporting independence. Lack of mobility or poor mobility can often be factors that keep seniors from continuing to live on their own. But with regular exercise, they can continue to carry out a variety of activities and be more independent. With more seniors determined to age in place and stay healthy and active, they have remained committed to exercise. Even if your aging parent hasn’t been especially active, it’s not too late to start. Incorporating more exercise into their daily routine can leave them feeling stronger, healthier, and more confident. Aerobic exercise promotes better heart and lung health. This includes activities such as biking, jogging, power walking, or swimming. It gets the heart pumping and all different muscle groups moving while also building endurance. Strength training helps build and tone muscle so seniors can keep pace with daily activities with more ease. They may use light weights or resistance bands for arms and legs. Muscle control is important for everything from putting away groceries to changing from sitting to standing and back again. Practice standing from a sitting position frequently to keep your leg and hip muscles strong. Flexibility and balance can help prevent falls and support activities such as dressing or grooming oneself. Activities such as yoga and tai chi can be very beneficial, as well as simple stretches and practicing standing on one leg. Many local gyms and recreational centers offer specific exercise or fitness classes for seniors. One that is very popular is called SilverSneakers. This program is designed for adults age 65 and older, and many are eligible for free membership through Medicare Advantage plans. Classes range from simple, low-impact workouts to more rigorous high intensity classes for those who are very active. Whether your senior enjoys water aerobics, dancing, walking, yoga, or something else, there is most likely a class to fit their interest, needs, and ability level. SilverSneakers offers seniors a chance to work out with other older adults under the guidance of a certified trainer, make friends, have fun, and stay in shape. They can work on balance, flexibility, endurance, strength, and many other aspects of their health. They no longer have to feel limited by the activities they can do because various classes give them much more opportunity to explore new things. Some classes can even be adapted for those who need to sit. Greater Plymouth Community Center offers SilverSneakersSplash, an aquatic exercise program. The Ambler YMCA also provides Senior exercise options. Philadelphia Corporation for Aging hosts senior exercise classes. Check their website for a schedule. With regular exercise and support from an in-home care provider, seniors can age in place more safely, comfortably, and confidently. In-home care services can be adjusted to provide just the right level of support your senior needs allowing them to remain as independent as possible. To learn more about getting your senior the right level of support they need to age in place and remain more independent, contact Always Best Care at (267) 217-7059. We offer FREE consultations to help you get started. As your loved one ages, you want to give them the best care possible. However, sometimes balancing their needs and your own family’s needs can become too much. You don’t have enough time in the day to fit everything in. Hiring an in-home caregiver can give you peace of mind that someone is there assisting your senior and looking out for their well-being. But how do you know whether someone is the right fit for the job? Inquire about training. Do they hold certifications in CPR, first aid, or senior care related topics? Their commitment to professional development can demonstrate their commitment and compassion for their job. If they didn’t care, why would they take the time to further their knowledge and training? 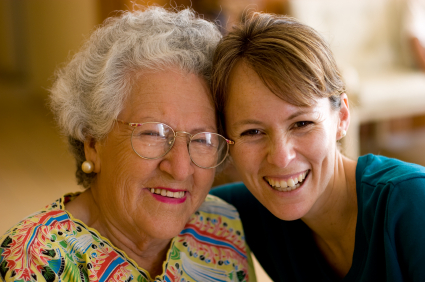 You want a caregiver who is on top of best practices and doing what is in the best interest of your senior. Question why they want the job. This may seem upfront, but it’s important. Their response can give you insight into how they feel about working with seniors and how seriously they take their role. They should be able to give you a solid reason for why they choose to be a caregiver and think they would be a good fit with your loved one. You could also ask about what they’re most proud of or their most memorable moment in caring for seniors. Give sample scenarios. Ask how they would respond given certain scenarios. This can tell you more about their ability to think on their feet and prioritize responsibilities. You know your loved one better than anyone, so consider areas of concern that you have and see how they plan to address these concerns. For example, you may ask how they help seniors manage their medication or how often they go outside with a senior client. Once you have a settled on a caregiver, give their senior care services a try for a few weeks. Remember that it will take time for your loved one to adapt to having someone assisting with their care, and it will take the caregiver some time to adjust to your loved one’s preferences and needs. Stay in contact with both your aging parent and the caregiver to see how things are going. This will allow you to hear both sides of the story and get a feel for whether the pairing is working out. If it doesn’t seem to be a good match, see about switching to another caregiver. If things are working well, you can adjust the level of care to make sure it suits your loved one’s needs. Follow your instincts and take your time in choosing a senior caregiver who is passionate about their job and providing exceptional care for your aging parent. When you can’t be there all the time, you want to have confidence in someone who can. Learn more about Always Best Care’s compassionate and qualified staff and our process for matching your loved one with someone who is a good fit. Call us today at (267) 217-7059 to set up a free consultation and get your aging relative the quality care they deserve to safely age in place.